FRANKFURT -- Volkswagen Group's namesake brand will start making electric cars in North America, as the manufacturer seeks to rebuild its tarnished image in the wake of the diesel scandal. 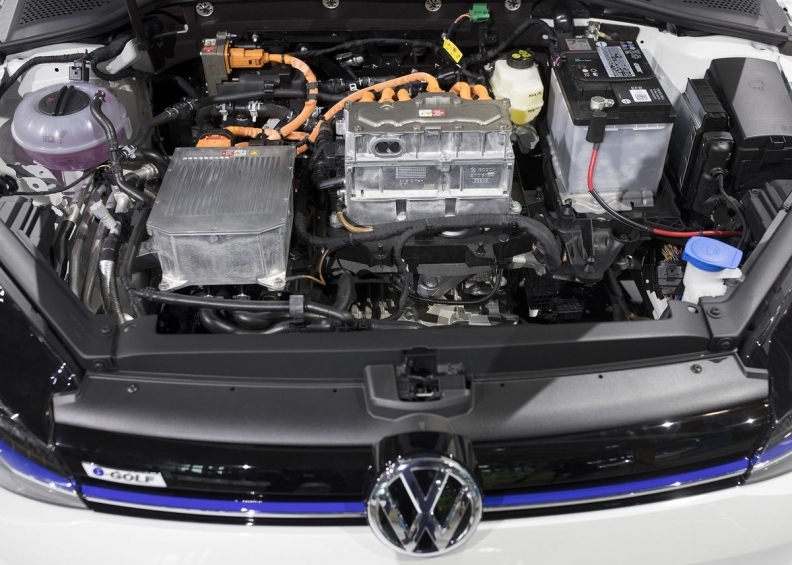 Production in that region will start in 2021, as part of a plan to sell 1 million battery-powered cars globally per year by 2025, VW said in a statement today. The company's VW brand aims to more than triple its profit margin to 6 percent within that period. Its electric-car transition will be funded in part by cutting more than 2.5 billion euros ($2.7 billion) of costs by scrapping underperforming conventional models. "Over the next few years, Volkswagen will change radically. Very few things will stay as they are," VW brand chief Herbert Diess said. "The electric car will become the strategic core of the VW brand." VW is fighting to slash expenses and streamline its operations, as the costs of developing new technologies and repairing the damage caused by its emissions cheating pile up. Today's announcement fleshes out a landmark agreement that VW reached with workers last week, which outlined as many as 30,000 job cuts worldwide and savings of 3.7 billion euros. The VW brand currently assembles the Jetta sedan, the Golf hatchback and the Beetle in a factory in Puebla, Mexico. Its only factory in the U.S. is in Chattanooga, where it makes a version of the Passat sedan for North America and is starting to produce its new Atlas midsize SUV. "We will be significantly stepping up our activities in the USA," Diess said. "The main focus will be on the key segments in the country, large SUVs and limousines." The changes are part of a sweeping overhaul announced by Volkswagen CEO Matthias Mueller earlier this year, to improve the group's operating margin, increase sales of electric cars and create a new mobility division that focuses on ride-sharing and self-driving technologies. Expenses for new initiatives are growing, even as the company faces at least 18.2 billion euros in fines and repairs tied to the diesel scandal. The VW brand, which accounts for nearly half of the group's sales, was already struggling with bloated production costs and convoluted management before the diesel scandal came to light in September of last year. Burdened by its free-spending past, productivity at VW is 30 percent below its peers and the carmaker spent 60 percent more per vehicle than Toyota Motor Corp. over the past three years, Exane BNP Paribas estimates.